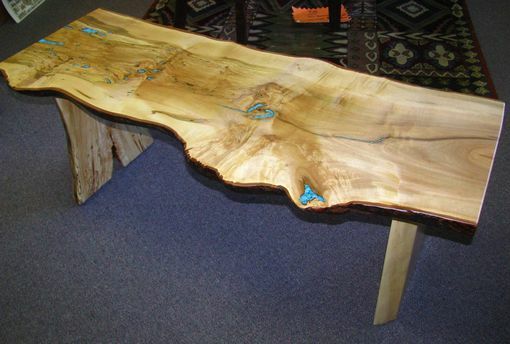 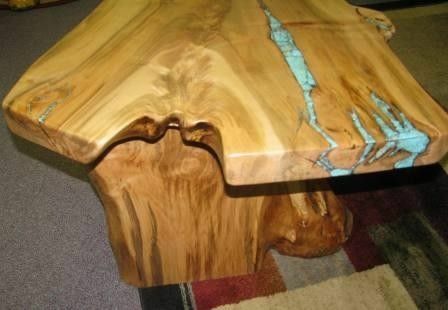 QUITE A FIGURE: Quite unusual Crotch Figured grain really sets this Maple Coffee Table off. 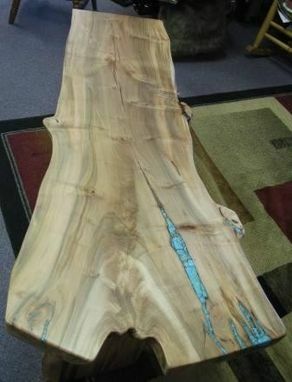 The figure continues through curly grain. 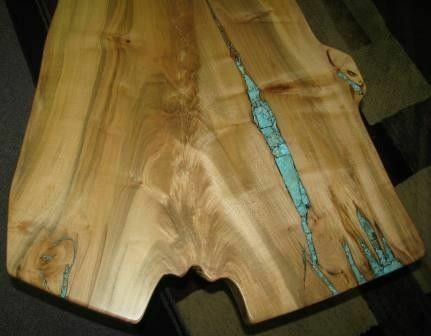 To accessorize this charmer's beautiful figure, our Woodgenius added generous Turquoise Inlays.